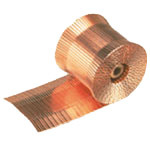 Industrial Staples - Triwall Staple -Greenline #114 - 1-1/4"
Home > Industrial Staples - Triwall Staples > Industrial Staples - Triwall Staple -Greenline #114 - 1-1/4"
Product: Industrial Staples - Triwall Staple -Greenline #114 - 1-1/4"
To staple triwall corrugated you need a very long industrial staple. 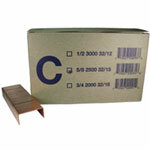 The Greenline box staple is designed to do the job. These staples only fit into the special Carton Closing Company tool designed to handle these staples. 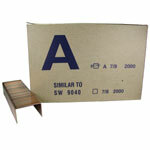 Boatman Marking has a wide variety of carton staplers and box staples. 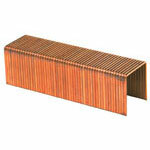 100138 Industrial Staples - Triwall Staple - Greenline #118 - 1-1/8"
100140 Industrial Staples - Triwall Staple - Greenline #138 - 1-3/8"
100137 Industrial Staples - Triwall Staples- Greenline #100 - 1"